Can You Be Allergic to Gum? It is possible to be allergic to a variety of gums due to the many ingredients that are found in them. With respect to bubble gum and chewing gum, you can potentially be allergic to the sugars, syrups and gum bases that go into the product. In addition, gums that are used in food, such as xantham or guar gum, are derived from glucose, making them potentially harmful to people with allergies to glucose. Chewing gum allergies specifically pertain to the salicylates found within the gum. Salicylates are naturally found in plants, which makes them appear in some mint-flavored gum. According to the Cleveland Clinic, if you have a sensitivity to it, high concentrations of salicylates can result in asthma-like symptoms, skin rashes, and swelling in the extremities and face. In rare and extreme cases, an allergic reaction to salicylates can result in organ failure or a serious drop in blood pressure. Xanthan and guar gum are two types of polysaccharides composed from basic gluten compounds. Since they are often found in gluten products, such as bread and dough, if you suffer from a gluten allergy it will not be possible for you to eat these gum-based products without possibly having side effects. 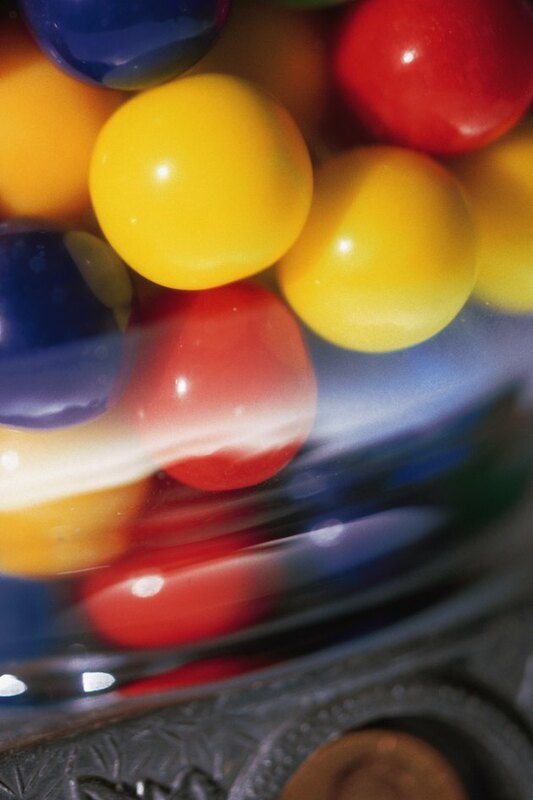 In addition, these gums are used as thickening agents in products such as salad dressings and egg white substitutes. Xanthan gum can result in allergic side effects such as gas, bloating and diarrhea. Guar gum can cause similar food allergies. People who are exposed to guar gum for long periods of time or who work with it, may experience symptoms such as asthma and rhinitis. Gum acacia, also referred to as gum arabic, is created from the hardened sap of the acacia tree. This gum is used as a thickening agent for chewing gums and candies as well as in painting, photography and printmaking. If you are allergic to gum acacia, symptoms may include skin lesions as well as certain types of respiratory problems. Gum acacia is part of the legume family, making it possible that you will also be allergic to other legumes, such as soy and peas. If you are allergic to gum as well as gum-based products, it is important to use proper caution when consuming products that may contain an allergen. If you feel a swelling in your throat that results in a shrinking of your esophagus, you may need to go to the emergency room or your doctor to get the proper medication to combat your allergic reaction. Reading the labels of the food and gums you consume will help decrease risk of having an allergic reaction. Celiac.com: Could Xantham Gum Sensitivity Be Complicating Your Celiac Disease Recovery? How Many Calories Are in a Wine Gum? Is Gum Containing Phenylalanine Safe During Pregnancy?